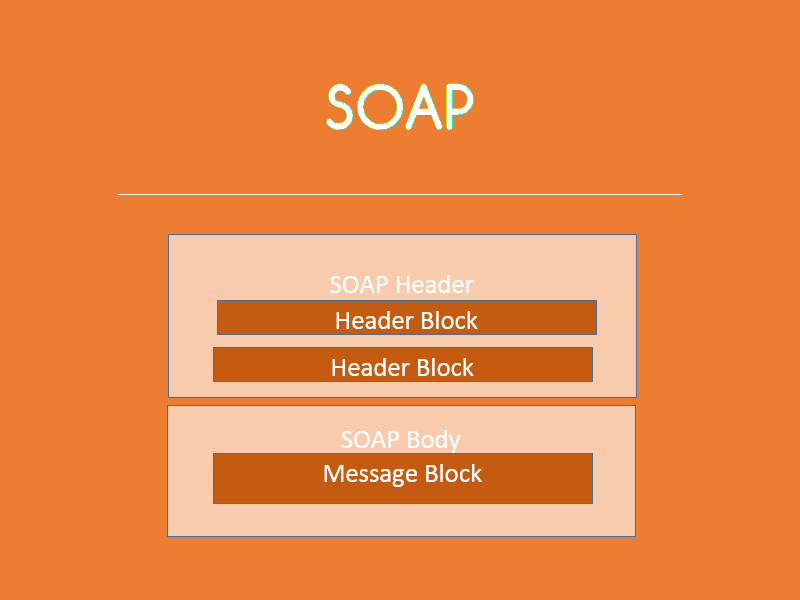 SOAP stands for Simple Object Access Protocol. It is an XML-based messaging protocol for exchanging information among computers. It defines a set of rules for structuring messages that can be used for simple one-way messaging but is particularly useful for performing Remote Procedure Call (RPC), request-response dialogues. It is not tied to any particular transport protocol though HTTP and SMTP are popular. Nor is it tied to any particular operating system or programming language so theoretically the clients and servers in these dialogues can be running on any platform and written in any language as long as they can formulate and understand SOAP messages. Although SOAP can be used in a variety of messaging systems and can bedelivered via a variety of transport protocols, the initial focus ofSOAP is remote procedure calls transported via HTTP. SOAP provides simplified communications through proxies and firewalls.